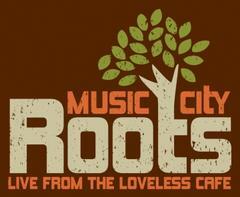 Music City Roots: Live From The Loveless Cafe will premiere its inaugural 13-week season of one-hour shows on Nashville Public Television on Friday, Sept. 13. The first airing will begin at 7 p.m. CT. The series will then air on several public television stations around the country, distributed by American Public Television. According to musiccityroots.tumblr.com,WNET (New York), WGBH (Boston) and KLRU (Austin, Texas), along with stations in Los Angeles, Phoenix, Cincinnati and Washington, D.C., have also signed on to present the series. Buddy Miller, Shawn Camp, Elizabeth Cook, 18 South, Bobby Bare, Humming House, Derek Hoke, Rod Picott, Kevin Gordon, Leon Russell, Honeyhoney, Langhorne Slim, Della Mae, The Delta Saints, Jon Byrd and Dugas are all slated to appear during the first season of the television series Music City Roots: Live From The Loveless Cafe, along with Jim Lauderdale as musical host.